On October 25th this year, the Vatican released a document that had remained in its secret archives for seven hundred years. It is the report of the official Church investigation into the activities of the Knights Templar in the early fourteenth century. In October 1306, these crusader knights were found guilty of idolatry, blasphemy, and heresy, and their order was dissolved. Some were burned at the stake, others imprisoned, and most were stripped of their assets. Astonishingly, this extraordinary document reveals how the Vatican enquiry found no evidence of wrongdoing. It was the Pope himself, Clement V, who directly intervened and declared the Templars heretics. The report appears to show that the pontiff was after their wealth, said to include priceless treasures once housed in the temple of Jerusalem and lost when the city was sacked in ancient times. But despite the arrest and torture of leading Templars, and the wholesale seizure of their lands, nothing of this fabled hoard was ever found. Most historians doubt the existence of the Templar treasure. However, my research suggests that one of the ancient relics they are said to have possessed may have been hidden in central Britain. 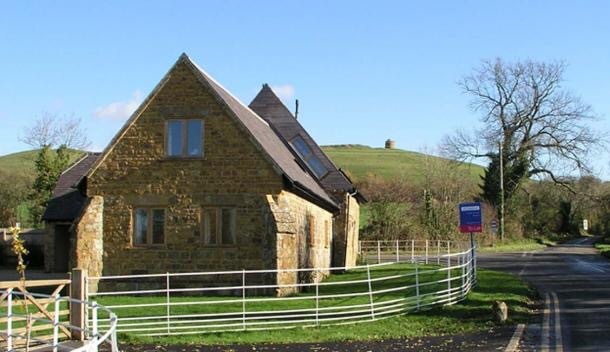 In the heart of England, close to Stratford-upon-Avon, famous as the birthplace of William Shakespeare, is the village of Temple Herdewyke, named after the Templars who once resided there. After the Third Crusade in the late twelfth century, these Templars returned from the Holy Land to build a chapel to house certain holy relics they claimed to have found. Many crusaders came home with items purportedly associated with early Judaism and Christianity, and with characters and events in the Bible, but the Temple Herdewyke knights are said to have discovered the most famous biblical artifact of all: the Ark of the Covenant. At least, according to local legend! They certainly claimed to have found what appear to have been considered hallowed relics at the time. Contemporary records of land and property holdings reveal that in 1192 the chapel housed certain objets sacrés – “sacred objects” – which the Templars had acquired in the Holy Land, including a large golden chest. This is exactly what the Ark of the Covenant was said to be. According to the Old Testament, it was a large golden box, made to contain the tablets inscribed with the Ten Commandments, lost when the Babylonians sacked Jerusalem in 587 BC. Although the Templars were rounded up in 1306, some evaded capture. Six hundred years later, a British historian suggested that they managed to survive in secret at Temple Herdewyke until 1350, when they were wiped out by the Black Death. 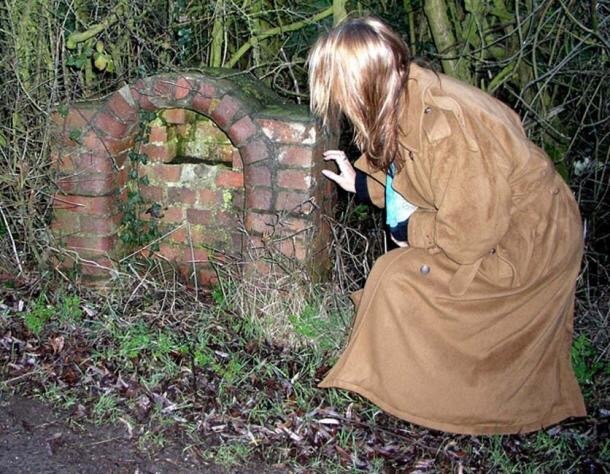 Jacob Cove-Jones, who lived in the area, not only believed they possessed the lost Ark, he also claimed to have discovered its secret hiding place. Having fallen out with fellow scholars for ridiculing his work, Cove-Jones refused to reveal his findings. He intended to carry out an excavation of his own, but sadly it never transpired. In 1906 he contracted tuberculosis and decided to take his secret to the grave. Well, almost! Knowing he had only a short time to live, the eccentric historian left behind a bizarre epitaph. He designed a stained-glass window that he commissioned to be made and installed in a new church that was being built close to his home in the village of Langley. Astonishingly, on his deathbed he announced that the window contained a series of clues to lead to where he was sure the Ark was hidden. Most dismissed him as a crank, while others who attempted to crack the code gave up without success. I personally remain to be convinced that this Victorian scholar really did know where the Ark was hidden or, for that matter, whether the Templars ever discovered the Ark at all. Nevertheless, Jacob Cove-Jones certainly seems to have believed it, and went to a great deal of trouble to leave his cryptic message. It was, I decided, likely that the window did hold clues to lead to something; if that was actually the lost Ark remains to be seen. It was certainly worth investigating this century-old Edwardian mystery. Completed in 1906, the year Cove Jones’s died, Langley chapel is one of the smallest churches in England, and the window in question is set into a side wall. 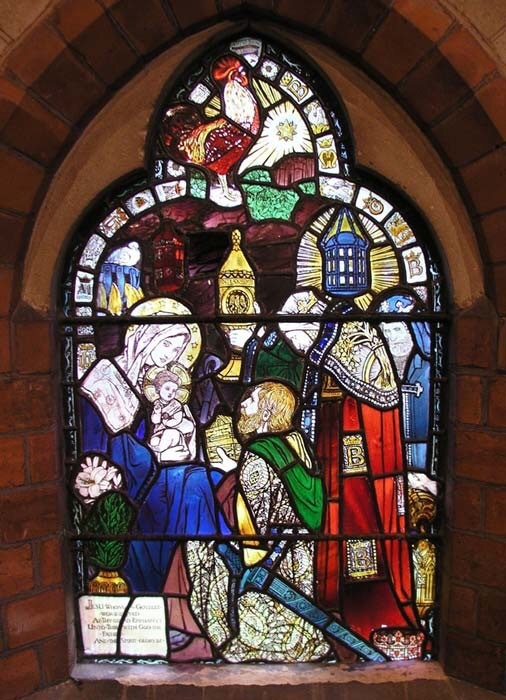 Called the Epiphany Window, it depicts the three Wise Men visiting the baby Jesus on Epiphany, the twelfth night of Christmas between January 5 and 6. Matthew’s Gospel relates how three mystics from the East followed a miraculous star that led them to Bethlehem where Christ was born. According to Christian tradition, the Wise Men ultimately found Jesus when a rooster uncharacteristically crowed at midnight on top of the building where the child slept. The window scene shows the Wise Men holding their gifts of gold, frankincense, and myrrh, praising the baby held in his mother’s arms, while above them is the crowing rooster and the wondrous star. Strangely, the stained-glass window did not depict the Ark. Why the Nativity, I wondered? The Wise Men were said to have found the baby Jesus by following a star. Might a star be Jacob Cove-Jones’s vital clue? Was the seeker being told to follow a star? The Ark of the Covenant is indeed associated with stars: two of them, to be precise. 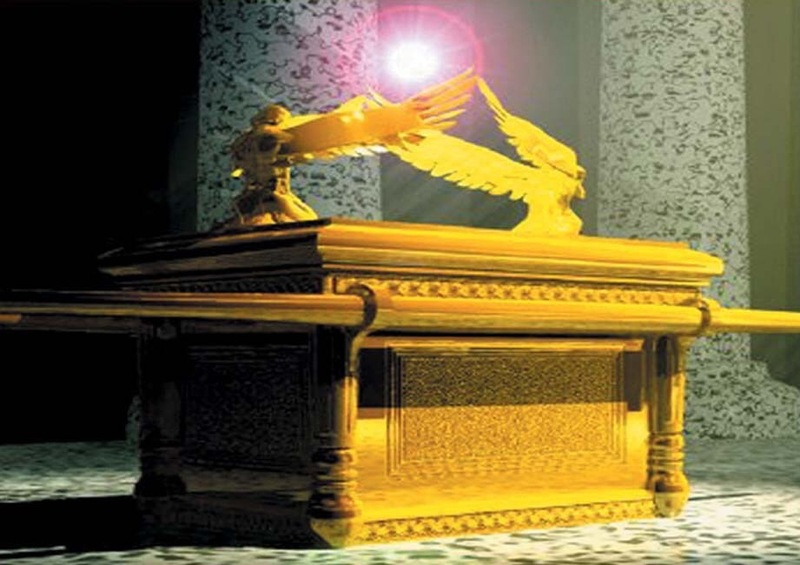 The Bible describes the Ark as having figurines of two angels on its lid. They were said to depict the archangels Michael and Gabriel that, according to Hebrew tradition, were represented in the sky by the stars Benetnash and Mizar, the tail stars of what we now called the Big Dipper. The stained-glass window did in fact appear to show two stars, one overlaid on the other, and right next to this design were the letters B and M, the very initials of these stars. If these celestial bodies were to somehow indicate the location of the hidden Ark, I needed to know both when and from where to observe them. Does the Pheonix Point the Way? The specific day, I decided, was revealed by the event portrayed in the window: Epiphany, on the twelfth night of Christmas. 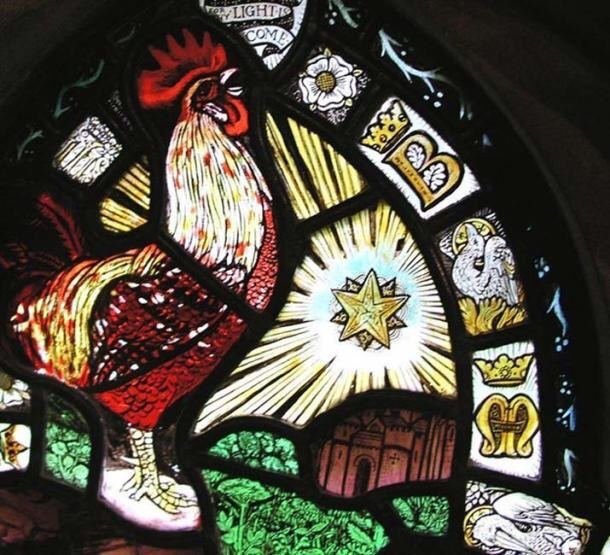 And the precise time was revealed by the rooster next to the star. It is said to have crowed at midnight. The location, it seemed, was indicated by two pertinent images in the scene. 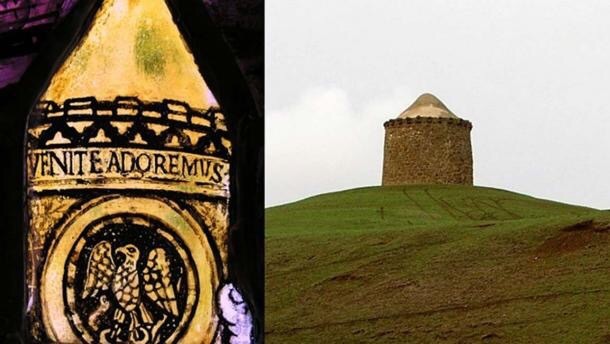 Between the letters B and M was depicted the fire bird, the phoenix, rising from the flames, and on top of a hill overlooking Temple Herdewyke there is a peculiar round tower called the Phoenix Beacon. In fact, the central image in the stained-glass window bears a striking resemblance to the tower, with its distinctive conical roof and castellated walls. It is represented as a container held by one of the figures, and upon it was another depiction of the phoenix, and the Latin words, “come and adore.” I was certain that Cove-Jones intended his seeker to observe the stars at 12 p.m. on Epiphany night, from the position of the tower. 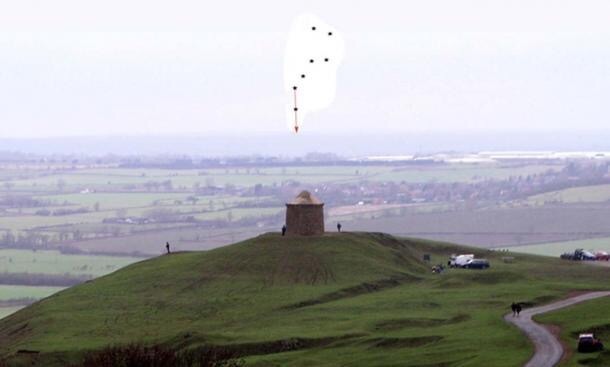 At that exact time, the two stars are low in the sky and, when viewed from the Phoenix Beacon, are pointing almost directly downwards to the foot of a hill on the horizon, specifically to a little village called Chapel Green. Chapel Green is named after a medieval chapel that once stood there, but all that remains today is a Victorian drinking fountain standing beside the road. Dating from Cove-Jones’s time, it is a red-brick, rectangular structure, inlaid with an arched niche. It closely resembles a red-brick arch depicted in the window scene, right below the star design. Convinced that this was exactly where the clues in the Epiphany Window were intended to lead, I organized a geophysics survey of the area, but although we discovered evidence of the original chapel, nothing made of gold or resembling the Ark appeared to be there. Tragically, in 1949 the lane was widened and the ruins of the centuries-old chapel were destroyed. Perhaps the workmen involved had dug up whatever was there to be found. If it was the lost Ark, they kept it quiet. And in his book The Templars and the Ark of the Covenant. Ever since I first discovered it in college, the “Cherry Tree Carol” has been one of my favorites. Its surprisingly risqué story line shines an unexpected light on the familiar Christmas Journey to Bethlehem from Luke 2:4–5: Joseph walking alongside the donkey and Mary, very pregnant, perched on its back. Creatively building on gospel narrative, the song fills in the gaps of the brief Nativity stories in Matthew and Luke. How endearing and wholly human, that Joseph might have had trouble fully coming to terms with his wife’s mysterious pregnancy despite the angel’s reassurances (“…do not be afraid to take Mary as your wife, for the child conceived in her is from the Holy Spirit”) in Matthew 1:20! Mary and Joseph in the cherry orchard recalls, of course, Adam and Eve in the Garden of Eden. There, trouble with fruit led to big trouble for humanity, trouble that the baby in Mary’s womb will set right. In this somewhat feminist counter-story, a man is put in his place by a woman—with God’s full cooperation! Mosaic of the Journey to Bethlehem from the Chora Church in Istanbul. A visit to YouTube will yield an assortment of lovely performances, including a version discovered in Appalachia. While the Cherry Tree Carol blooms in cyberspace, however, its roots go deep and wide: from medieval England back to the 12th-century Crusader kingdoms and ultimately to early Christian communities of the Middle East who worshipped in Syriac, a liturgical (religious) form of Aramaic, the language of Jesus. Adherents of Syriac Christianity include a range of different denominations, but they have lived in the Middle East for 2,000 years. Today, facing the twin threats of ISIS and the Syrian civil war, the future of these ancient communities is in doubt. The beleaguered Syrian city of Aleppo in particular (see the Google city map) is home to many churches, from Syriac-speaking to Evangelical, whose congregations may never recover. Syriac Christianity, in particular, has generally flown under the radar of mainstream scholarship, although this is beginning to change. It now appears that the Cherry Tree Carol’s distinctive take on Joseph’s outspokenness at Mary’s pregnancy can be traced back to a unique feature of Syriac liturgy, one still operative in churches (if they survive) today, the dialogue hymn. Like many carols, the “original” version of the Cherry Tree Carol comes from the Middle Ages. It appears in a set of Bible-based “Mystery Plays,” known today as the “N-Town Plays,” that were performed in the English Midlands around 1500. The Middle Ages may be the quintessential Christmas setting (yule logs, holly and ivy, wassailing! ), but the inspiration for the magical fruit tree and Joseph’s bitterness is even older. Scholars generally identify the carol’s prototype in a ninth-century bestseller, the “Gospel of Pseudo-Matthew,” in which a date palm bows to Mary. This story, however, is set after Jesus is born, during the Flight to Egypt, and it is the infant Jesus who commands the tree to “bend thy branches and refresh my mother with thy fruit” when Mary grows faint. Variations on the miraculous fruit tree motif appear in a wide variety of sources, from Greek mythology to the Qur’an’s account of Mary and the birth of Jesus in Sura 19.22–25. On the other hand, nowhere in “Pseudo-Matthew” does Joseph utter a harsh word to Mary, not even when he finds Mary pregnant; Mary’s virgin companions, not Mary, face Joseph’s interrogation until the angel shows up to calm him down. How appropriate, since this is a Christmas blog, that some of the best evidence for cooperation between Crusaders and local Christians comes from the Church of the Nativity in Bethlehem! The Church was famously founded in the fourth century by Constantine and his mother Helena, but the existing wall mosaics and some of the barely visible column frescoes date to the 12th century. This is when the Byzantine Emperor Manuel Comnenos forged an alliance with King Amalric of Jerusalem and sponsored a new decorative program in the Church of the Nativity. Interestingly, trilingual (Latin, Greek, Syriac) inscriptions in the church attest to both Byzantine-trained and local Christian artists. Furthermore, as Hunt notes, “While the Orthodox and Latin were the predominant communities, the ‘Monophysites’ [i.e., local Christians] were also represented at the Church of the Nativity.”3These days, Crusaders have a deservedly clouded reputation, but perhaps for one brief shining moment at Christmas in the Church of the Nativity they acquitted themselves as one would wish with open ears and hearts. I like to imagine “Latin” Crusaders hearing the Syriac Joseph and Mary dialogue performed at Christmas in the Church of the Nativity. Captivated by the hymn, they adopted and adapted it to become part of the developing English Mystery play tradition, a tradition we can thank for the Cherry Tree Carol. Mary Joan Winn Leith is chair of the department of religious studies at Stonehill College in Easton, Massachusetts. At Stonehill, she teaches courses on the Bible and the religion, history and culture of the Ancient Near East and Greece. In addition, she offers a popular course on the Virgin Mary. Leith is a regular Biblical Views columnist for Biblical Archaeology Review. 1. Sebastian Brock, “A Dialogue Between Joseph and Mary From the Christian Orient,” Logos: Cylchgrawn Diwinyddol Cymru (The Welsh Theological Review) 1.3 (1992), pp. 4–11. 2. Lucy-Ann Hunt, “Art and Colonialism: The Mosaics of the Church of the Nativity in Bethlehem (1169) and the Problem of ‘Crusader Art,’” Dumbarton Oaks Papers 45 (1991), p. 72. 3. Hunt, “Art and Colonialism,” p. 77. Nativity: Lines 24–52 contain the Cherry Tree episode. Sura 19, “Maryam”: Lines 22–34 include the palm tree episode. What Does the Parable of the Talents Mean? What does the Parable of the Talents mean? This woodcut from Historiae Celebriores Veteris Testamenti Iconibus Representatae—dated to 1712—depicts the Talents’ parable (Matthew 25:14–30). 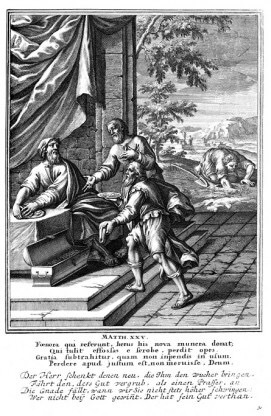 Two men bring the money that was entrusted to them back to their master, while a third man searches for his money outside. Jesus tells the Parable of the Talents (or the Talents’ parable) to his disciples. It appears in Matthew 25:14–30, and another version of the parable can be found in Luke 19:11–27. The story in Matthew 25:14–30 unfolds as such: A man goes away on a trip. Before he leaves, he entrusts money to his slaves. To one he gives five talents, to the second he gives two talents, and to the third he gives a single talent. The first two slaves double their money; they give the original investment and their profit to their master when he returns. The third slave, however, buries his talent out in a field instead of trying to make a profit; he returns only this when his master comes back. The master is pleased with the first two slaves, but he is dissatisfied with the third’s actions. He reprimands this slave and casts him out into the darkness. Richard L. Rohrbaugh examines the Parable of the Talents’ meaning in his Biblical Views column “Reading the Bible Through Ancient Eyes” in the September/October 2016 issue of Biblical Archaeology Review. Although the story itself is fairly straightforward, Rohrbaugh argues that the Parable of the Talents’ meaning is less clear. An ancient audience would have interpreted it differently than a modern one. [G]iven the “limited good” outlook of ancient Mediterranean cultures, seeking “more” was considered morally wrong. Because the pie was “limited” and already all distributed, anyone getting “more” meant someone else got less. Thus honorable people did not try to get more, and those who did were automatically considered thieves: To have gained, to have accumulated more than one started with, is to have taken the share of someone else. This interpretation of the Parable of the Talents’ meaning casts the actions of the first two slaves as shameful and that of the third slave as honorable. Should then the actions of the third slave be condemned or lauded? According to Rohrbaugh, reading Matthew 25:14–30 with ancient eyes suggests that the third slave is the only one who behaved honorably in the Talents’ parable. Learn more about the Parable of the Talents’ meaning by reading Richard L. Rohrbaugh’s full Biblical Views column “Reading the Bible Through Ancient Eyes” in the September/October 2016 issue of Biblical Archaeology Review. Inscriptions dating to 600 BCE suggest widespread literacy at the time of Kingdom of Judah, say Tel Aviv University researchers. Scholars have long debated how much of the Bible was composed before the destruction of Jerusalem and the Kingdom of Judah, in 586 BCE. 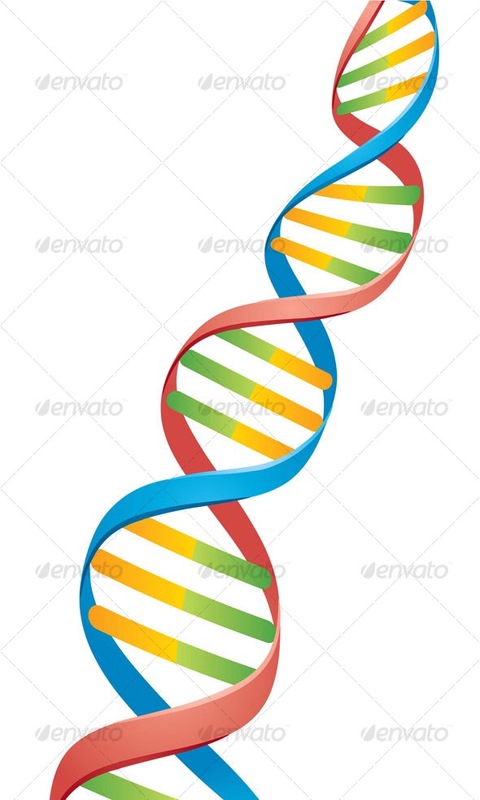 Now, a groundbreaking new study by Tel Aviv University (TAU) published in theProceedings of the [US] National Academy of Sciences this week, sheds important new light on the debate. “There’s a heated discussion regarding the timing of the composition of a critical mass of biblical texts,” said Prof.
Israel Finkelstein of TAU’s Department of Archeology and Ancient Near Eastern Civilizations, who led the research with Prof. Eliezer Piasetzky, of the university’s School of Physics and Astronomy. “But to answer this, one must ask a broader question: What were the literacy rates in Judah at the end of the First Temple period? And what were the literacy rates later on, under Persian rule?” According to the study, the researchers determined that widespread literacy was required for the massive undertaking, and it provides empirical evidence of that literacy in the final days of the Kingdom of Judah. A profusion of literate individuals in Judah may have set the stage for the compilation of biblical works that constitute the basis of Judahite history and theology, such as the early version of the books of Deuteronomy to Second Kings, according to the researchers. Using cutting-edge computerized image processing and machine learning tools, the TAU team analyzed 16 inscriptions unearthed at an excavation in the remote fort of Arad, and deduced that the texts had been written by at least six authors. The content of the inscriptions disclosed that reading and writing abilities existed throughout the military chain of command, from the highest echelon, all the way down to the deputy quartermaster of the fort. The Origin of the Knights Templar – Descendants of Jewish Elders? The Knights Templar initially arrived in the Holy Land on a mission to reclaim some treasure that they believed was rightfully theirs. 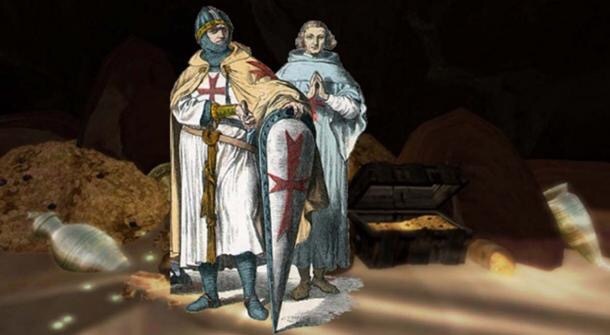 According to the modern Templar historians, Tim Wallace-Murphy and Christopher Knight, the knights who banded together as the Knights Templar were part of a wave of European royalty descended from Jewish Elders that had fled the Holy Land around 70 AD, when it was invaded by the Romans. Before leaving their homeland, these Elders had hidden their temple treasures and priceless Essene and Kabbalistic scrolls in strategic regions of the Holy Land so that the Roman invader Titus could not plunder them as the spoils of war. The Jewish Elders then immigrated to Europe. There, many of them married into the continent’s noble families. Of these Elders, twenty-four would become the patriarchs of a group of European families known by the sobriquet of the “Rex Deus” or “Star” families. 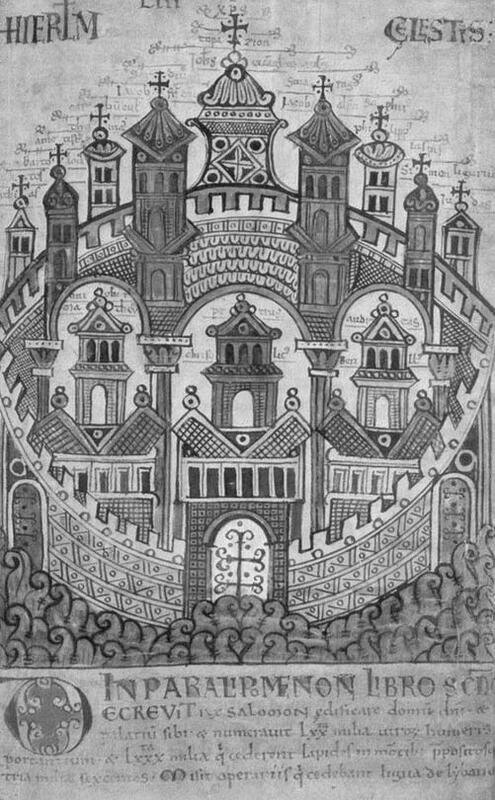 For hundreds of years the secret locations of the Jewish treasure filtered down through the families of the Elders – until the First Crusade, when knighted members of the Rex Deus joined the procession of holy warriors traveling east with the dual goal of defeating the Moslems and recovering their family treasure. The original nine Knights Templar were either born into or related to the Rex Deus families, as was Godfrey de Boullion, the French general who led them against the Saracens during the First Crusade. His cousin, King Baldwin II of Jerusalem, assisted the Templars in retrieving the treasure by donating the al-Aqsa Mosque for their use. 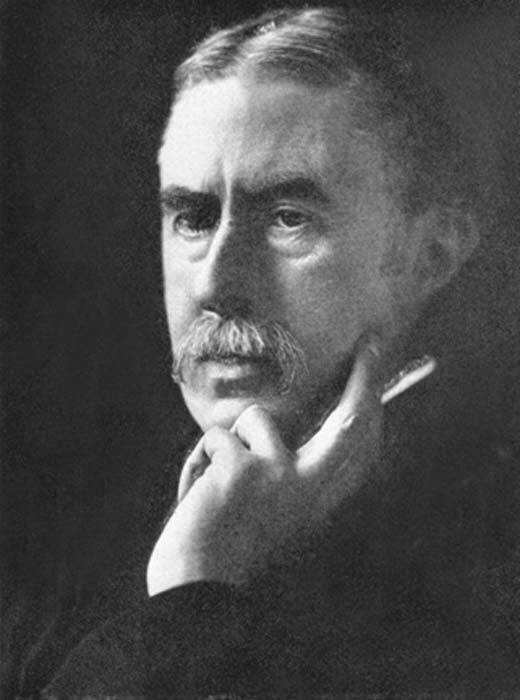 Traces of the Templars’ ensuing excavations were later discovered in the 1800s by a detachment from the Royal Engineers of Great Britain and are now in the possession of the family of the late Knight Templar archivist of Scotland, Robert Brydon. Apparently the Jewish Elders had stashed much of their treasure under Solomon’s Stables, because it was there that the Templars spent most of their time excavating. After nine years of digging, the original nine Knights had accumulated enough treasure and documents to fill four large trunks. When their patron, King Baldwin II, suddenly took ill and died, the Knights took their four cases into Europe, stopping briefly at St. Omer in Flanders to have one of the documents copied and then replaced by cleric Lambert de St. Omer. Called the Heavenly Jerusalem, the copied document is now stored in the library of the University of Ghent in Belgium. After a special ceremony with Pope Honorius III at the Council of Troyes in 1128 (making their organization official in the eyes of the Church) two of the Knights, Hughes de Payen and Andre de Montbard, carried their four cases of treasures to Kilwinning, Scotland, the location of the “Mother” Grand Lodge of Freemasonry. The trunks resided there for many years before eventually being moved to Sinclair Castle in Roslin, near Edinburgh. The Sinclairs were one of the Rex Deus or Star families whose destiny had, according to one legend, become forever entwined with the Knights Templar when their ancestress Catherine de Saint Clair married Hughes de Payen a decade or so before he took the vows of a monk in 1128. 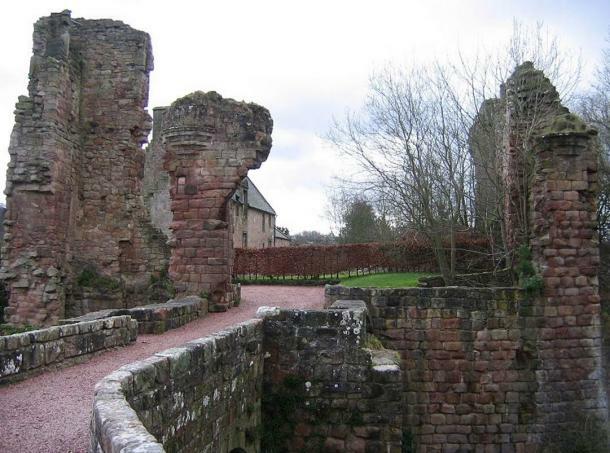 It is because of the Sinclair-Templar bond that much of the Knights’ treasure, including the prodigious wealth that landed in Scotland after the Templar escape from France in 1307, ended up in the coffers of the Sinclair Clan. The Sinclair Earls of Roslin kept the four cases of Templar treasure safe in their castle until a fire unexpectedly broke out and they were forced to remove them from the collapsing edifice. The calamitous event apparently had a silver lining, however, because legend has it that soon after the fire, construction on nearby Rosslyn Chapel began in earnest. 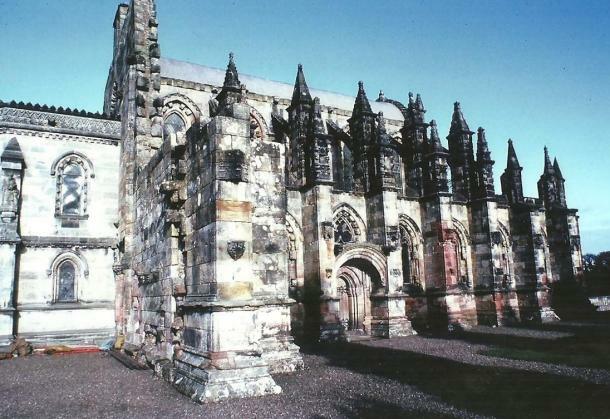 Thus, the safekeeping of the four boxes may have been the original purpose for the construction of Rosslyn Chapel. Recent confirmation for the survival of the four cases in Rosslyn has come through ground scans in the chapel taken over the past twenty years, which reveal a vault in the crypt containing four large boxes. This vault is located directly under the keystone and within the most energetically protected part of the chapel. 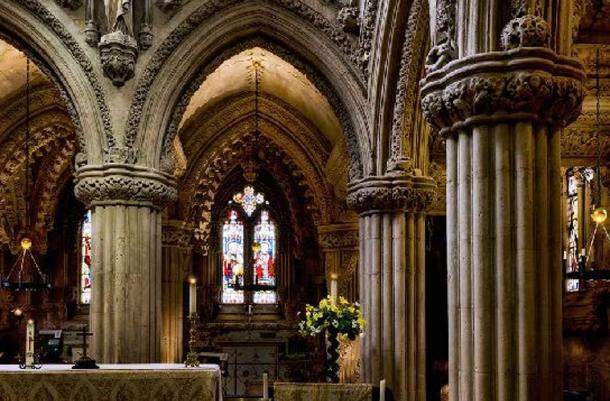 If Rosslyn Chapel was built as a copy of Solomon’s Templar or Herod’s later temple, as many believe, then this region of the chapel would correspond to the inner sanctum or Holy of Holies. Researcher Christopher Knight contends that Rosslyn Chapel is a model of Herod’s Temple, which is why it contains a so-called “unfinished” outer wall. Knight asserts that this wall was added intentionally to give the Chapel the appearance of the ruins of Herod’s Temple – as it looked when the Templars excavated under it. If this is true, then Rosslyn Chapel was built to duplicate Herod’s Temple so that the Knights’ Jewish treasure could be symbolically returned to a version of its original hiding place in the Holy Land. Excerpted from World Gnosis: The Coming Gnostic Civilization by Mark Amaru Pinkham. 2010. Adventures Unlimited Press, Kempton, IL. A new phenomenon is changing the face of education, making first-rate courses from the world’s best universities available to all, wherever they live. The phenomenon is often subsumed under the umbrella term “Massive Open Online Course” (MOOC). Emory University professor Jacob L. Wright will be teaching the free seven-week Coursera course “The Bible’s Prehistory, Purpose, and Political Future” beginning May 26. Question: Discovered in the caves above Qumran, the Dead Sea Scrolls have provided scholars with important information about the Bible in the first century. How was the Bible formed, and why did a text from a defeated people blossom into the Bible? Last fall I was selected to teach one of Coursera’s first course offerings on religion—and its very first on the Hebrew Bible as a whole. Entitled “The Bible’s Prehistory, Purpose, and Political Future,” the course will expose students, whether they’re beginners or experts, to an abundance of new research on the history of Israel and on the formation of the Bible. But this is no typical introductory course. My objective is not simply to present various theories for the origins of Israel and the Bible, beginning with Genesis and continuing through various parts of the canon. Instead, my lectures focus on the most basic—and I think most important—question that students often ask, yet instructors rarely address: Why? Why do we have a Bible from ancient Israel and Judah? Could something like it have existed among the Philistines, the Moabites, the Assyrians, the Babylonians or the Persians? If so, why haven’t they been transmitted throughout the ages and been translated into thousands of languages, as the Hebrew Scriptures have been? And why would such a sophisticated corpus of literature as the Bible have its origins in a remote region of the world (the southern Levantine hill country), rather than at the centers of ancient civilization (Mesopotamia and Egypt)? After all, these civilization centers boasted technological supremacy and military superiority. They were the ones who invented writing and easily conquered the population that produced the Bible. Finally, why has the Bible had such a huge impact on world history, shaping the identities of a very wide array of societies across the globe? The course takes on this paramount question of the Bible’s raison d’être: its why and wherefore. The first two weeks of the class treat the history and archaeology of ancient Israel, and the subsequent weeks examine how the Biblical authors tell their history and interpret their past. In the free eBook Exploring Genesis: The Bible’s Ancient Traditions in Context, discover the cultural contexts for many of Israel’s latest traditions. Explore Mesopotamian creation myths, Joseph’s relationship with Egyptian temple practices and three different takes on the location of Ur of the Chaldeans, the birthplace of Abraham. I’m not going to reveal the way I answer the why-question. In order to find out how I think about it, you’ll have to enroll in the course. But I will give you a clue as to where I’m headed. (And two follow-up pieces exclusively on Bible History Daily will offer you a glimpse of some of the course’s content. )The Bible emerged in response to disaster and devastation. If it were not for cataclysmic loss—if the kingdoms of Israel and Judah had continued to flourish—there would be no Bible. I’m not claiming that many of the Bible’s sources did not already exist long before the Babylonians razed Jerusalem to the ground. But there is a significant gap between the original contours of these sources and the shape they are given by the Biblical authors. According to the Book of Daniel, Babylonian king Belshazzar ordered the gold and silver vessels from the Temple to be brought to his famous feast, where Daniel interpreted the writing on the wall. The authors of the Hebrew Bible fashioned an elaborate and enduring monument to this conquest. With its walls razed to the ground by Babylon’s armies, Jerusalem joined a long line of ancient vanquished cities—from Ur and Nineveh and Persepolis to Babylon itself. While some recovered from the destruction, others did not. But none responded to political catastrophe by fashioning the kind of elaborate and enduring monument to their own downfall that we find in the Bible. Most conquered populations viewed their subjugation as a source of shame. They consigned it to oblivion, opting instead to extol the golden ages of the past. The Biblical authors in contrast reacted to loss by composing extensive writings that acknowledge collective failure, reflect deeply upon its causes and discover thereby a ground for collective hope.For subjugated populations, the destructive force of armies posed the most fundamental question: Who are we? In response to this question, the Biblical architects of Israel’s national identity did not look to their kings to define their destiny. Instead, they gathered the fragments of their diverse pasts and wove from them a single narrative that told the story of one nation. The resulting tapestry we know as the Hebrew Bible. The DVD Bible Stories: How Narratives Work and What They Reveal is a fascinating look at some of the most famous stories of the Hebrew Bible. Professor Ziony Zevit’s engaging lectures examine the art of storytelling and will have you reading the Exodus, the Ten Commandments, the Book of Ruth and so much more in a whole new way. Defeat may have destroyed a state, but thanks to the vision of the Biblical authors, it recreated a people. The Biblical project is truly remarkable. Nowhere else in the ancient world do we witness such an elaborate effort first to portray the history of one’s own defeat and then to use this history as a means of envisioning a new political order. This course takes students through the bold moves, as well as the intricate steps, with which the Bible achieves its goals.The efforts of the Biblical authors were not in vain. The “people of the book” they conceived has endured for more than two-and-a-half tumultuous millennia. But the impact of these creative labors extends far beyond the community for whom it was written. Either directly or indirectly, the Bible informs the way many populations of the world today imagine themselves as peoples. Thus we as Americans, despite significant social and ethnic diversity, have long claimed to be one united nation, and our self-understanding borrows explicitly from the legacy that the Biblical authors inherited from ancient Israel. A new phenomenon is changing the public face of university education, making first-rate courses from the world’s best universities available to all, wherever they live. The phenomenon is often subsumed under the umbrella term “Massive Open Online Course” (MOOC). One of the leaders in the new realm of MOOC courses is Coursera, which reaches millions of students of all ages across the globe. Last fall Dr. Jacob Wright was selected to teach for Coursera one of its first courses on religion—and its very first on the Hebrew Bible as a whole. Titled “The Bible’s Prehistory, Purpose, and Political Future,” the course is offered through the prestigious Emory University, which is world-renowned for its graduate programs in Biblical Studies (the largest in the USA). In keeping with its hope-filled perspective, the Bible lays out a road map to a brighter future in which corporate concerns and the common good determine daily practices and public policies: transparency and open access to information; division of powers; written law codes; environmental sustainability; universal education; justice for the orphan, widow and alien; protection of the one from the many; long life rather than heroic martyrdom; and many other enduring “covenantal” values that grow out of a sense of fraternity and a consciousness of being one people. Many of these moral principles have been deeply absorbed into our identities. In my course I reveal how they were decisively shaped by societal collapse. If I am right, they demand our renewed attention in this time of global instability and great uncertainty about our future.This new course on the Bible is free, and enrollment is open to everyone. Beginning May 26, it runs for seven weeks—a fitting duration for a course on the Bible. You can take it for credit and a diploma, or you can just watch the lectures at leisure and take the quizzes for fun, without anyone knowing how well you did—or didn’t do. Jacob L. Wright is associate professor of Hebrew Bible at the Candler School of Theology of Emory University. He is author of Rebuilding Identity: The Nehemiah Memoir and Its Earliest Readers (De Gruyter) and two related works on the Bible’s most celebrated ruler:King David’s Reign Revisited (Aldina/Apple iBooks) and David, King of Israel, and Caleb in Biblical Memory (Cambridge University Press). He is currently at work on an exciting new book on the Bible to be published by Simon & Schuster—Atria. Archaeologist Benyamin Storchan at the newly-discovered mikveh. Israeli archaeologists recently uncovered a mikveh (a Jewish ritual bath) in Jerusalem’s Qiryat Menachem neighborhood that dates back to the Second Temple period (538 B.C.E–70 C.E.). Small pools used for ritual cleansing, known as mikva’ot (singular, mikveh), were built to strict specifications: According to the Mishnah, the earliest rabbinic code of law, they must be of a certain size and filled with “living” water—water that has not been transferred from a vessel but has flowed directly into the bath from a river, spring or rainwater collector. The recently-discovered Jerusalem mikveh features a unique water supply system designed to preserve every possible drop of rainwater collected in the arid Jerusalem environment. Water ran into the mikveh from three collecting basins (otzar) hewn out of the rock on the mikveh’s roof, following kashrut laws dictating that the water be carried in naturally and without human contact. In addition, the mikveh was paved with plaster, following the Jewish law that water from the mikveh not seep into the earth. While the area was used for quarrying after the mikveh went out of use, Jerusalem archaeologists are working with the neighboring community and the Israel Antiquities Authority to preserve the site of this unique Second Temple period mikveh. The mikveh from above, showing the three collecting basins hewn into the roof of the mikveh. Photo: Israel Antiquities Authority. The harshness of the curse of Ham, his son Canaan and their descendants has been a source of scholarly debate for millennia. A new reading of the Dead Sea Scroll 4Q180-4Q181* provides a fresh perspective on Canaan’s transgression. In December 2012, the Israel Antiquities Authority, in collaboration with Google, launched The Leon Levy Dead Sea Scrolls Digital Library, a new website that allows visitors to view and search high-resolution images of the complete Dead Sea Scrolls archive online. 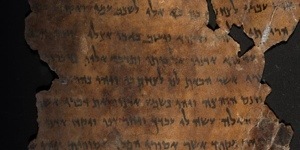 Using the high-resolution digital images of the Dead Sea Scrolls, researchers Elisha Qimron, Hanan Ariel and Alexey Yudisky recognized that a unique usage of the word for God in a Genesis scroll, in conjunction with the word for tent, may be interpreted to mean the “land of Shem,” rather than the “tent of Shem,” according to a recent article published in Haaretz. This reading, which parallels the Apocryphal Book of Jubilees,** suggests that Canaan defied Noah’s division of the land. According to this alternate Biblical tradition, the exile known as the curse of Ham would be punishment for more than Ham’s seeing “the nakedness of his father” (Genesis 9:22). * Biblical scholar Jim Davila confirmed that the text came from scroll 4Q180-181 on his PaleoJudaica blog. ** BAS Library Members: Read James C. VanderKam’s “Jubilees” as it appeared in Bible Review, Dec 1992.